The heroes of amateur bike racing aren't always the riders who take the glory at the finish line, they're also the passionate men and women who give up their time to ensure grass roots racing happens week in and week out. John Mullineaux has been behind the scenes of the London racing scene for over two decades dedicating countless hours to the sport he loves. In his time he has been the chair of the London Cycling Campaign, a founding member of London Phoenix cycle club and the early ‘green’ London Dynamo’s. He’s also co-organised the Beastway Mountain Bike Series in London for 19 years, the Crystal Palace Circuits for over a decade and is now committee member of the London and South East Cyclo Cross League. We caught up with John at Round 2 of the London Cross League to talk about bunny hopping squirrels, women's cycling and Grayson Perry. MC: You’ve been heavily involved in the London cycling scene for as long as we can remember, can you tell us where it all started and what it was that got you into cycling? JM: I rode my bike for years in London before I realised that I had to help make cycling better; I joined the London Cycling Campaign and became its chair. We would go out and mark our own quiet routes many of which are now official and we spent much effort wedging our feet in doors. Through this activity I discovered the Eastway cycle circuit which is now buried under the Olympic Park at Stratford. That was it; I was soon racing my old steel Eddy Merckx there and at Crystal Palace. MC: We cut our teeth racing at the legendary Crystal Palace Crits back in 2009 and have very fond memories of learning the craft of racing there. What are your earliest memories of the race scene in London? JM: I discovered Palace when racing at Eastway. In London then and even more so now, you could race every day of the week if you wished; Eastway was Thursdays and Palace Tuesdays. It was entry on the day at Palace and you rolled up to face some of the toughest riders not seen since. Palace is hard and it’s a circuit that needs to be treated with real respect - if you can race there you can do it anywhere. You needed to have your brain fully engaged and sprint out of every corner. Palace in those days was wider and held on a surface that could deal with rain, and once and a while we would race on the full motor race circuit. I had the skills to bunny hop squirrels and hold my own in the corners, but I never really had the lungs or legs to stay at the front. Wednesdays was for mountain bikes at Eastway. My attitude was, training allowed me to race but not to the exclusion of having a life style. Once I got my head round the geography of London and its racing hotspots I felt connected, no doubt others might feel the same now. MC: You’ve been an event organiser and volunteer on the London racing scene for over two decades now, what was it that drew you into taking this on? JM: I, like so many then and now, raced within my bubble, but just as I realised that to ride in London I needed to contribute the same applied to racing. Being a regular, if not a fast rider I had become a fixture at events and got to know people and made contacts and of course we talked about races. I became involved in organising the Beastway Mountain Bike Series at old Eastway when Revolution stopped. I did this with a great team for 21 years and this allowed me to learn far beyond the racers bubble, so when at Palace one evening a group of elite riders aggressively challenged the judges I stepped in and told them to stop. That was it; I was a judge after that! MC: What bikes do you ride and what has been your all-time favourite bike? JM: I’m not really the sort of person who does favourites, but if pushed I guess my favourite was my steel Carlton that my mum bought me when I was fourteen. Getting your first race bike is a magical moment, although I never raced it. If I do remember correctly, I and my parents had no notion that a cycle scene existed in the 60’s although I can remember watching the Milk Race pass by Bristol and attending a grass track event which was part of a country fair. But we made no connection that it was something I could do myself. So, my riding was long rides out into the country most often on my own and camping trips with bikes and school mates. I got 95% in my Cycling Proficiency Test and I broke my Carlton jumping when riding off road which I did a lot. JM: Am I tribal? I like to think not, but the draw of the dirt has always been strong with me. My road bike looked like a MTB before they became flavour of the month and I have had a ‘Gravel Bike’ for 30 years. Riding on the road is brilliant of course, but I love the added flavours that come from going ‘off piste’. 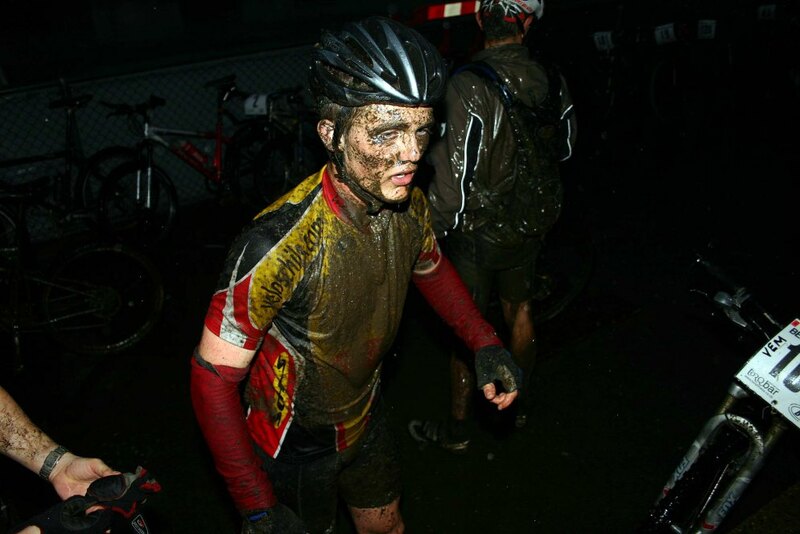 With my hand on my heart in regard to competition it is cyclocross that I favour. MC: Worst day on the bike? JM: Never had one – but I did punch myself in the face as I left the Arenberg Forest riding the sportive (not the ASO one, but the proper VC Roubaix grass roots one) and the rain was falling so hard. My body and mind had become so numb that I accidently thumped myself hard in the face. MC: Best day on the bike? JM: I once won a two up sprint for 2nd in a mountain bike race by outwitting a faster, but wheel sucking opponent by forcing him off the dry line and into the mud. That was great and I felt very smart! MC: Race entries have almost become as difficult as getting a Glastonbury ticket, did you ever think racing would become so popular in Britain and what are the biggest changes you’ve seen? JM: The big issue in cycling is that although there seems to be a lot of money in the sport and the male elite part seems in rude health (if mired in controversy regarding drugs and social awareness issues), the sport has rested upon a small group of people at grass roots level for too long bearing in mind the increasing burden regarding a duty of care and risk management. And there is so little money available and this is compounded by such issues as brands who pay/support ‘brand ambassadors’ to take part in events, but don’t support events. Thankfully some good brands realise this chicken and egg angle, but this modern world view and others are a challenge. A major issue for any organiser is garnering support for racers to put something back and commit to helping out. In past days the club structure would just about cover it. At a grass roots level, as people progress to racing or riding in all disciplines, the expectations of ‘service’ has increased and unless people get involved it will hit a limit of what can be secured by volunteers. If you are in a club or team that is basically there to meet narrow specific interests of a select number, then please have a think about the context of your riding – whether it is cycle provision in towns, a sportive or a high end event you are riding they all depend on the unpaid wider activities of others to make cycling more than just that ride. Additionally we now have cyclists who haven’t a sense of community or a shared vision. This mind-set is ultimately embodied in the sole purpose of chasing Strava times or the like, individuals happy to build their own ‘virtual’ network via social media. They are inspired by the Tour de France and other well publicised events but are seemingly unaware of the building blocks of our sport. With a higher profile some cycling events feel like something out the royal court of Louis 16th, - whilst the cycling elite and hangers on party the peasants work the fields. MC: You helped in the creation of London Women’s Racing which has grown massively in the last three years. Can you tell us about it and how you helped to create it? JM: It was simple; we had been trying to increase the number of women racing at Palace. First, we made sure we recorded all women no matter where they finished in the mixed field and next split the women into their own start. This meant we now had three races going on – women – E/1/2s and Cat 3/4s. We got strife from some, but we kept it going and adjusted how we judged and who would get the bell when, to make it work as best as possible. Thankfully we were rewarded with some excellent women’s races and race numbers. The men just had to accept that the women’s race was just as valuable as their race, at times it was frustrating to hear complaints and the attitude of some men was disappointing, but we kept at it and made sure that all were aware that we valued the women’s race. At that time (6 years ago) you might get a few women in a race and they would often finish an anonymous race, but we noticed that because we had created a bit of a women’ scene at Palace more women were attracted which created good races. One evening, cycle blogger and adventurous rider Maria David and I just sort of said to each other - as we watched a good group of women race by - wouldn’t it be good if women could target races that they knew other women would be at. Quickly this idea found favour with women such as Palace’s leading woman Maryka Sennema, and we soon had a league. We contacted race organisers across the London calendar and asked if we could use their race as a round, and it worked out. I can recall 40 women plus starting at Hog Hill one Saturday in the first year and that was a sight not seen before by me. MC: Looking back at your time in the sport, what has been the most memorable moment for you? JM: Standing at Beastway with Bill Wright (founder of Herne Hill Youth CC and a long-time member of De Laune CC) as the organised chaos erupted and flowed around us at the Beastway MTB Series. We started with fields of 80 and ended up with 200 plus with numerous categories before the Olympics evicted us. It was a heady time and a real buzz could be felt across London. It was also surreal at times, as I can remember having to step in to sort out a dispute between the now famous artist Grayson Perry and another rider. Such was the diversity of people we attracted each week in the summer. MC: After contributing and achieving so much for cycling in London, what’s next? Do you have ambitions to start new leagues and events or are you looking forward to winding back and riding your bike more? JM: I am actually bowing out – 2017 was the first year I have missed Palace in decades and my time with the London Cyclo Cross Association will come to an end in the 2018/19 season. I gave up Beastway five years ago. It’s been fun to meet so many good hearted people (and a few who were not) through cycling and many organisers, officials and club stalwarts, and I have also seen some who have felt forgotten and isolated after they had stood down mostly because of old age or for health reasons. It is my intention to use the years left to me to ride my bike and have enough energy to do new things and not outstay my welcome. The health of cycle sport is down to people contributing at least in some small way.